Our Classic rooms provide style, comfort and a relaxing space for your stay with us. Perfect for those Cotswold weekend breaks. From dining to spa days, enjoy discovering the Cotswolds and everything that Whatley Manor has to offer. 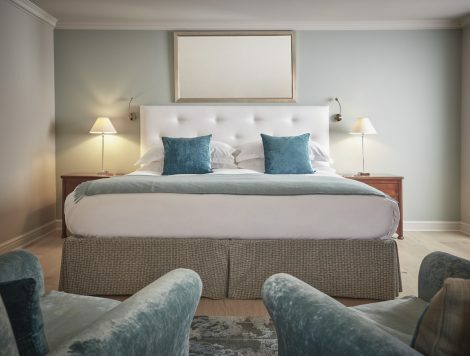 Each room features a king-size bed, handmade in Yorkshire by Harrison Spinks. In addition, each mattress contains thousands of pocket springs to ensure the most comfortable sleeping experience. Every Classic room also has a luxurious bathroom with heated floors and indulgent amenities from Molton Brown. Classic rooms all have efficient WiFi and our chrome cast TV’s allow you to stream directly from your own devices.